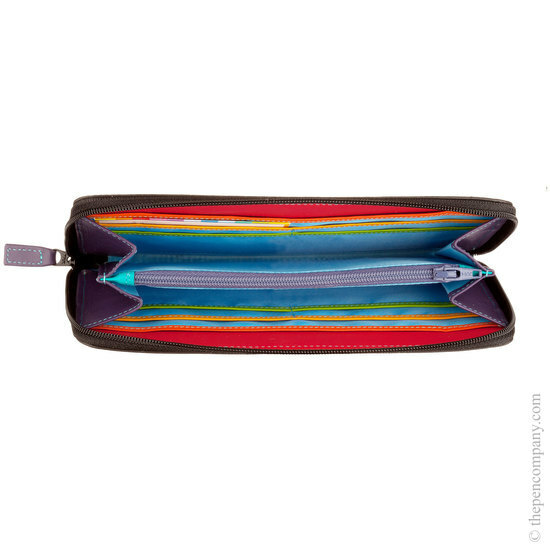 The Lucca Zip Around Purse from Mywalit is a large purse/wallet. Inside are two note sections, eight card slots (four per side) and a central zipped coin pocket, all secured by a zip on three sides. 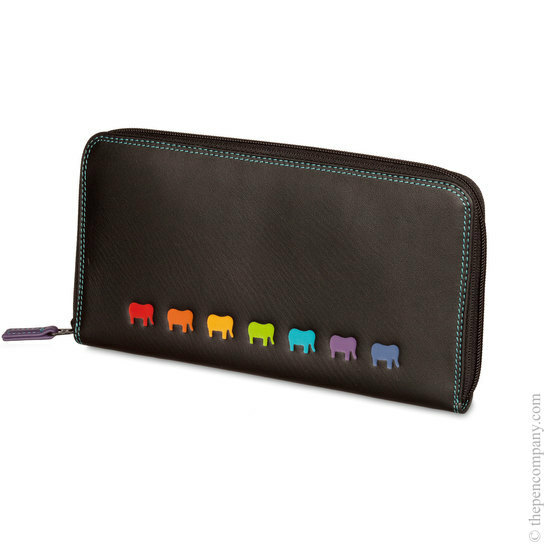 The Lucca design features seven impressed elephant emblems, each in a different brilliant colour. 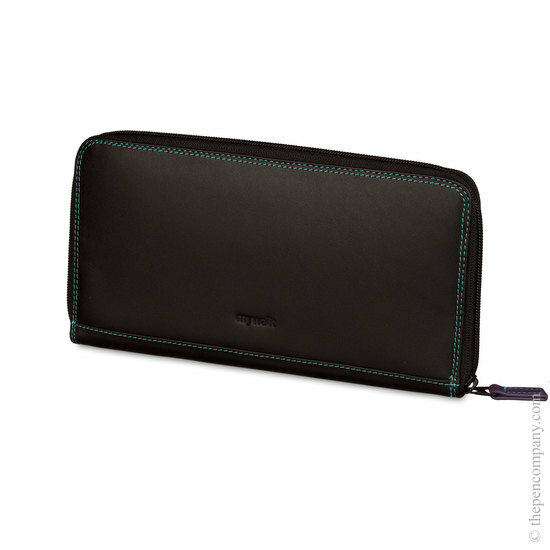 The Lucca purse/wallet is carefully handmade from fine soft nappa leather.